Last edited by AFCMiamiEast on Wed Nov 09, 2016 12:58 pm, edited 2 times in total. All of the privileged, champagne sipping, chauffeur riding, soft Hollywood babies are in mourning. This may come off as immature because it involves such a vital topic but their tears taste delicious. Those people are #@&% cowards, cry babies and clowns. The real Americans, the working class, not the pop culture elites, elected this man for a strong country to defeat the delusional vision of HRC's bridges not borders policy. The best part about these social justice people is how truly weak they are. These people can pretend that they are "fighting" with their voices and opinions but they support a style government that they are completely dependable on. I'm sure a lot of these same idiots would vote against one of our core values in the 2nd Amendment. The first sign of a tyrannical, oppressive government is when they start taking away the rights of the citizens to defend themselves and force them to completely depend on someone else (armed police) to save them when it gets hot. Good luck with that cowards. A vote for Trump is a vote for individual Independence. I use the term individual because make no mistake, this country is not united as one anymore. I believe in his message, but it is fully up to him to execute now. I never thought it was possible. He made me a believer as time went on. So much at stake. I was really stressed out over this election. I wasn't sure democracy was even still alive in this country. I give the dems credit for a heck of a fight. But the B.S. Woman abusing claims and the lack of any campaign strategy except "Trump is bad" did them in. People saw through all the Bullcrap. I didn't give them enough credit to do it. With the house and senate wins Trump has everything he needs to make this country great again. And I LOVE IT that hollywierd is sad today. Those Aholes live in this isolated pampered world and think they know whats good for all of us. God bless America! And I LOVE IT that hollywierd is sad today. Those Aholes live in this isolated pampered world and think they know whats good for all of us. Unfortunately people like that have influence on a good majority of Miami-Dade. EDIT: Let me say I'll give him a chance now that he's in office (or soon to be). Last edited by Cathal on Wed Nov 09, 2016 4:02 pm, edited 1 time in total. I'm willing to give the guy a chance. His speech last night was well done and I like that the theme was "us" and not "me or I". He's going to be the best American president ever during 2017... believe me. Just great and beautiful. Best Video of the New world order. These millennials have never been told No. People apologize to them and send them off to safe spaces when they hear a word they dont like. 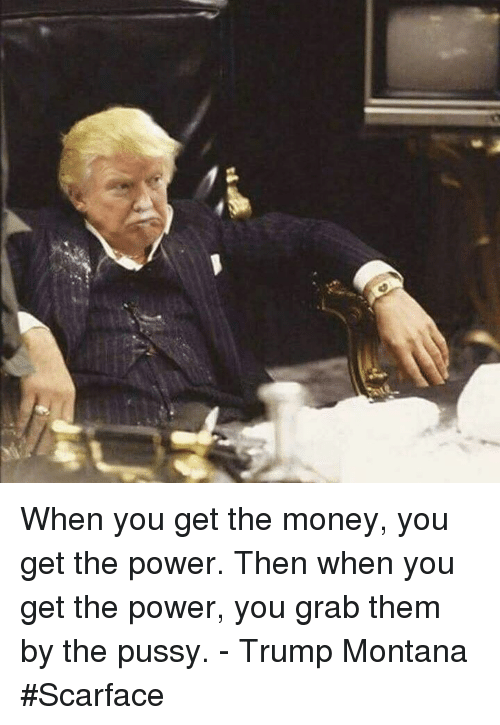 Time to make America great again. I'm not condoning the Trump comments about women. Honestly, I don't respect him, just hoping he sets good policies (key word hoping). But if we are going there, and I've seen all these people posting (on social media) how they have to explain to their daughters about him being president, may I offer exhibit A - Bill Clinton and exhibit B - John F. Kennedy. What did Obama ever do besides put our country in debt? People were complaining about Bush having made a two trillion dollar deficit when he left office. Obama left office with a 21 trillion debt, more than all the 43 presidents before him combined making him one of the worst presidents ever on record. Thank God we have a smart business man in office to straighten out the mess Obama left behind. To be fair, Obama did not put our country in debt. That started a long time ago. He did increase the debt significantly, though. No one seems to care about this issue. No one seems to care because it's mind-boggling to think about such a big number. On top of that, a debt like that cannot be paid off, ever. 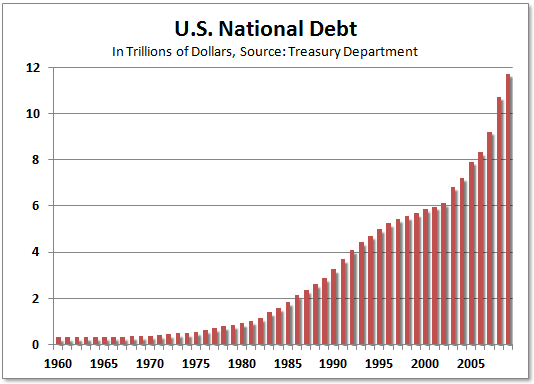 I think everyone realizes that all debts are going to have to be erased at some point, not only the US one. It'll either be a world war that does it or a single world government type scenario, maybe both of those things. Peugh, thanks for joining in with us. PM me or my mods if you need anything. We've seen the national debt as a percentage of GDP decrease significantly before thru a combination of spending cuts, increases in tax revenues and significant economic growth (sometimes those go hand in hand). Unfortunately, we've created an economy where regulation is so heavy and obtrusive that only big companies with expensive attorneys and accountants can navigate the regulatory waters on a long-term basis. And we've developed an environment where reducing the rate of spending growth is called a "cut" and where both parties talk a good game about reining in spending but neither really does anything about it. So I do think it is unlikely that it can be paid off, but it is not impossible. In case anyone wanted a visual picture of what a stack of $23,000,000,000,000 looks like...that paper would be stacked sixty seven MILES high. Bush without a doubt put us in debt. But.....Obama multiplied it by 10.
or a single world government type scenario, maybe both of those things. both parties talk a good game about reining in spending but neither really does anything about it. Politics 101. Thousands of years of greed & incompetence. I want to grab Pelosi by the neck. Her and Hillary literally do not care that their lies and dirty tactics have been shamefully public record for years. They keep on going and counting their millions. They have no platform or policies to run off of except hate Trump. That’s why I think the pollsters who have the Democrats with real momentum going into the midterms as favorites are full of **** again. What the hell have they done? Bush without a doubt put us in debt. The debt was there WAY before Bush. I didn’t mean to imply that Bush started it. He sure as crap didn’t do anything to help it. No one has. It's a serious issue that neither party will seriously address.